Heart-stopping performance on tough conditions comes easy with the Columbia 300 Impulse. HyperShock Outer Core material wrapped around the new Impulse Symmetrical inner core delivers a medium-RG/high differential punch on tricky lane conditions. Combined with the Reflex Hybrid coverstock, the Impulse gives a benchmark reaction on the lane with maximized energy transfer at the pins. 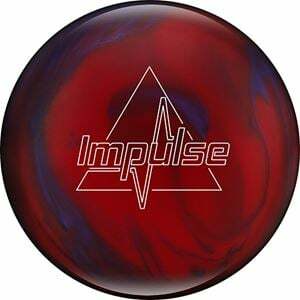 The ALL NEW Impulse is here to get your heart pumping. We took our Hypershock technology, which was previously only available in the Red Line Collection, and added it to the outer core of the newest addition to the Orange Line Collection. This new core/cover combination provides devastating back end reaction and will leave every pin in its path without a pulse.